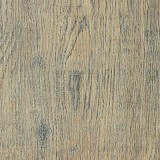 Buy Karndean Paliocore Waterproof Flooring and Save 30 to 60%! Karndean Paliocore has the Style, Durability, and Water resistance that you need at American Carpet Wholesalers! The Karndean Paliocore line of flooring is a luxury vinyl plank that is 100% waterproof. That means you can have the look of plank hardwood flooring in places you never thought possible. Luxurious flooring in a variety of styles can now be yours in the bath, mud rooms, or laundry! Karndean Paliocore Rigid Core is a 6.5mm thick 100% waterproof plank with a 20 mil wear layer and comes with a lifetime residential warranty and a 15 year commercial warranty. Great looking floors come from great looking flooring products and Karndean’s Paliocore Rigid Core Flooring fits the bill. Karndean Paliocore is available in eight different styles and they can all be found right here at American Carpet Wholesalers!